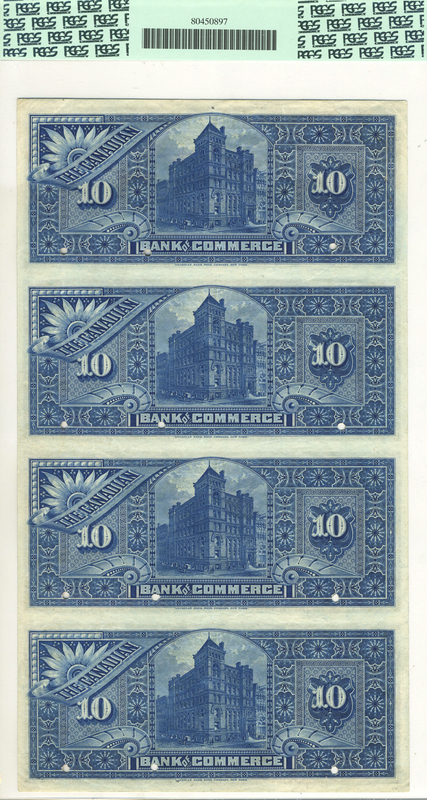 If you like pizzazz and rarity, then it doesn't get much better than this uncut $10 specimen sheet from The Canadian Bank of Commerce in Toronto. 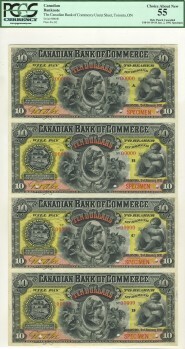 The sheet dates to 1892. 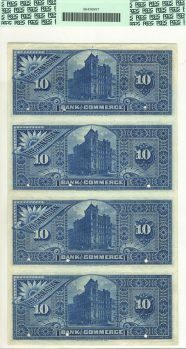 It appears that it has been more than seven years since a sheet like this has sold. 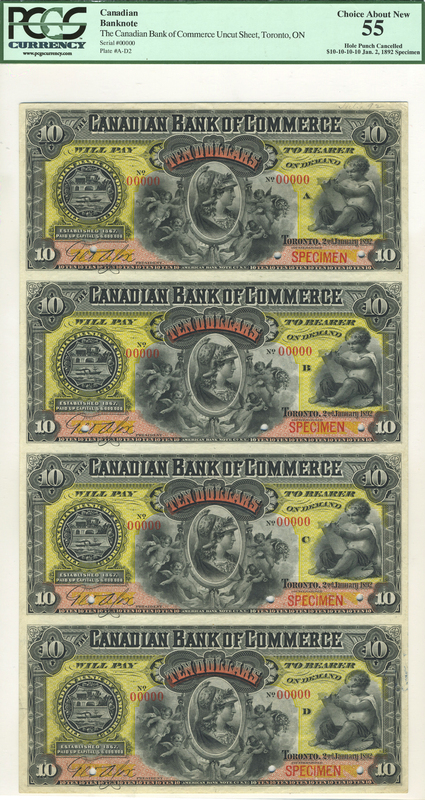 We think our estimate is very reasonable considering how hot today's very advanced market is for the best Canadian chartered banknotes.